Enjoy a hassle-free and unforgettable visit to the Extreme Sailing Series event. Each package includes two Silver VIP passes (for your day of choice), GC32 boat tour, afternoon RIB ride out to watch the racing and two nights at the Sheraton Hotel, Harbor Island. Benefit from high profile exposure by allowing your company/organization to reach top community leaders, corporations and families through on-going, joint promotional opportunities. 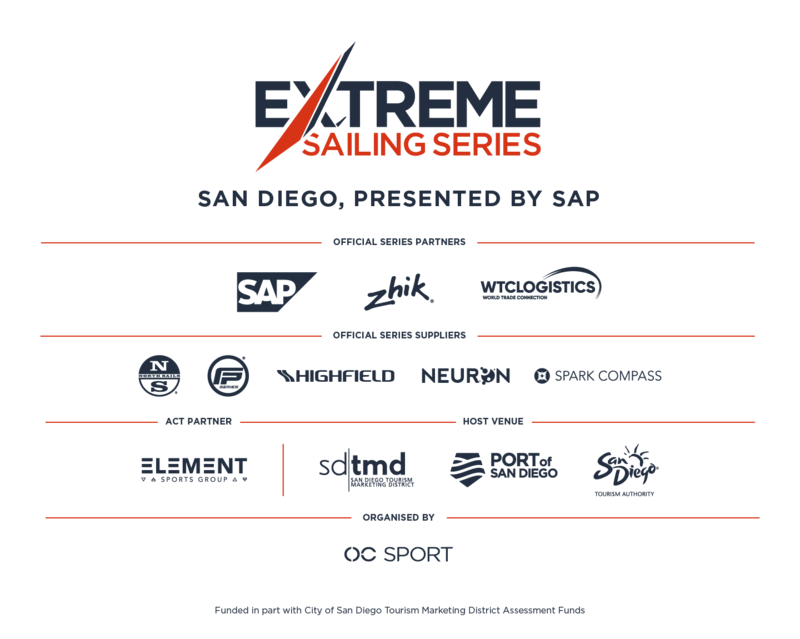 Leverage a partnership with the San Diego Extreme Sailing Series to meet your marketing objectives. The Extreme Sailing Series is the original Stadium Racing circuit designed for spectators, delivering high-performance action close to the shore and putting guests at the heart of the battle. Attracting some of the world’s top sailors, racing the hydro-foiling GC32 catamarans on short courses, the global circuit spans the Middle East, Asia, Europe and the Americas. The award-winning and adrenaline-fuelled global Series has given the sport of sailing a healthy dusting-off and now you will be able to experience it in San Diego! Sign up now to get information and updates about the event.